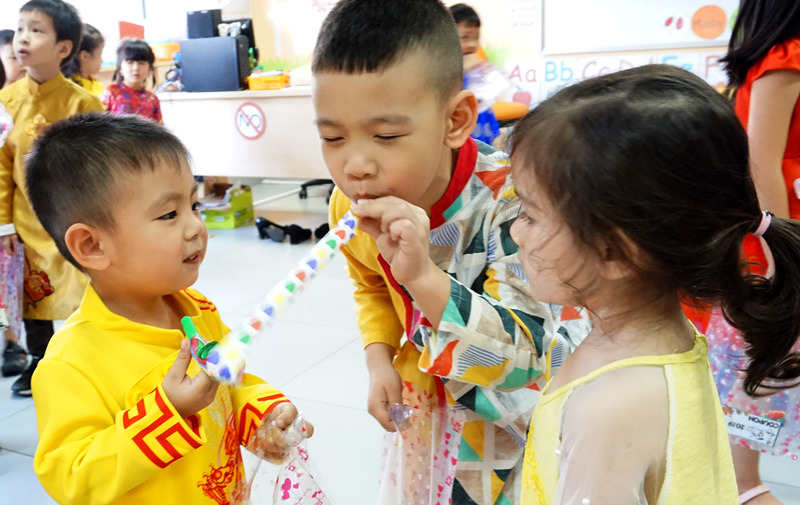 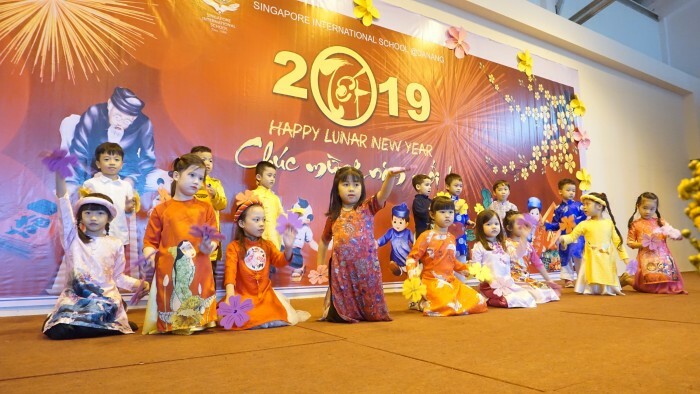 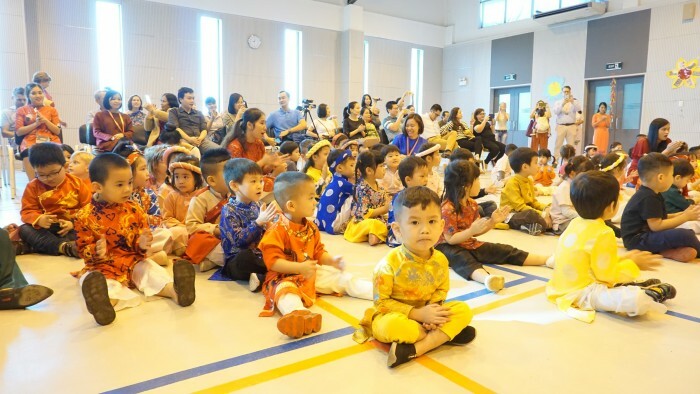 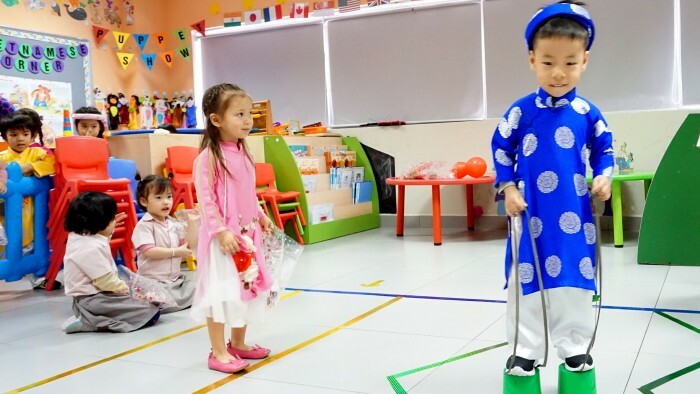 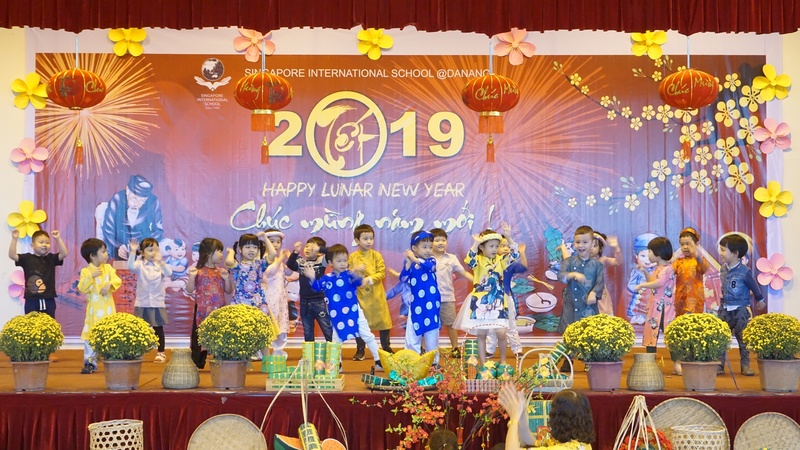 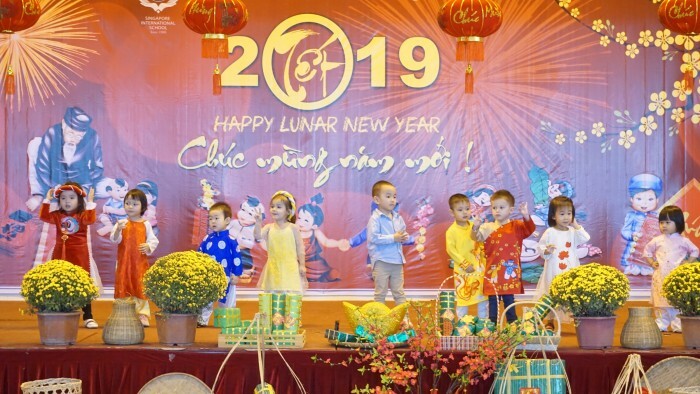 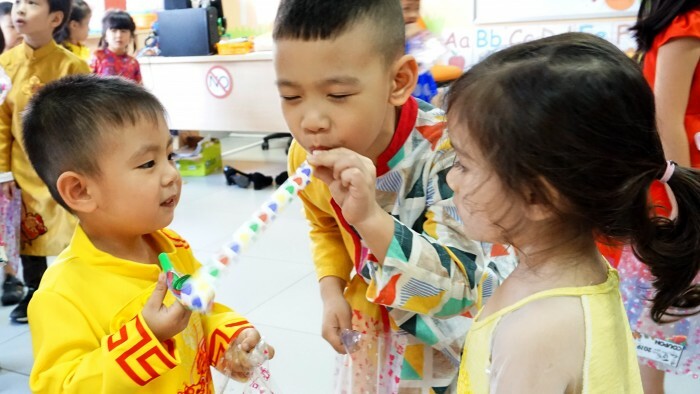 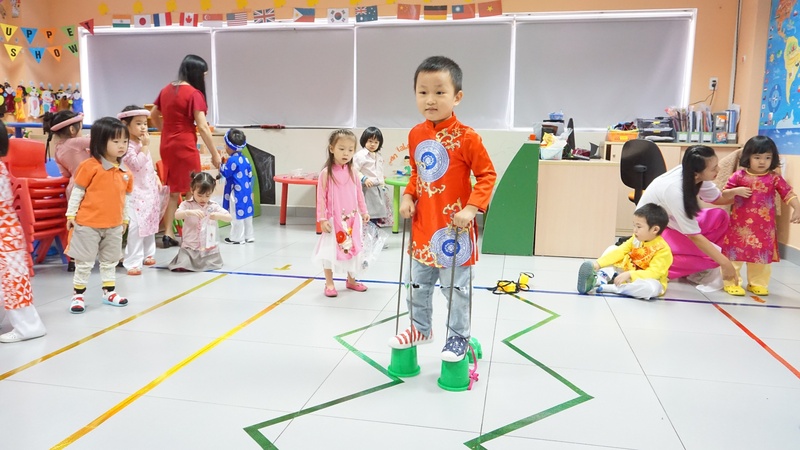 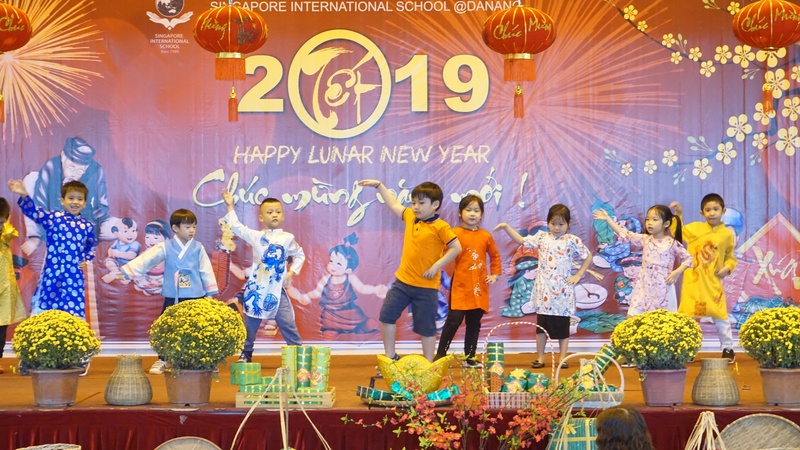 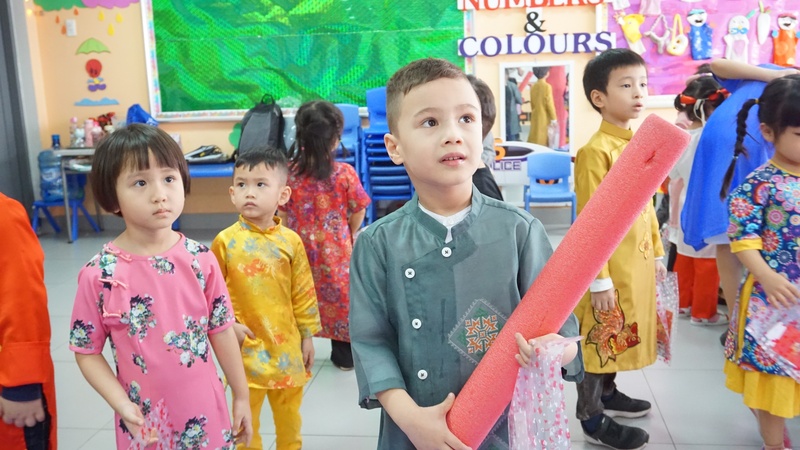 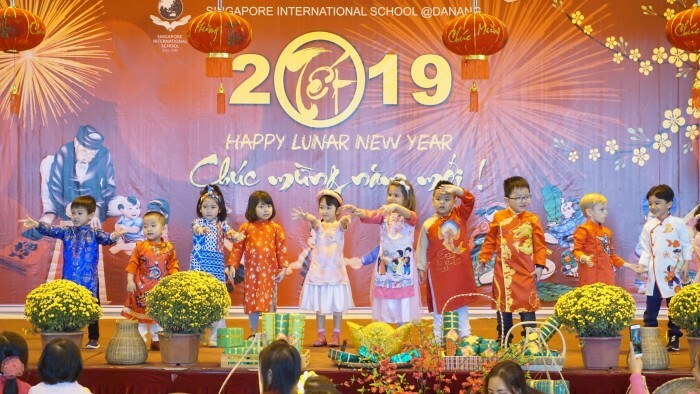 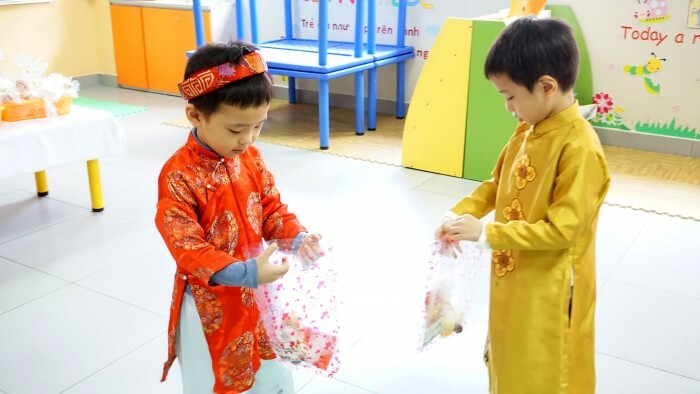 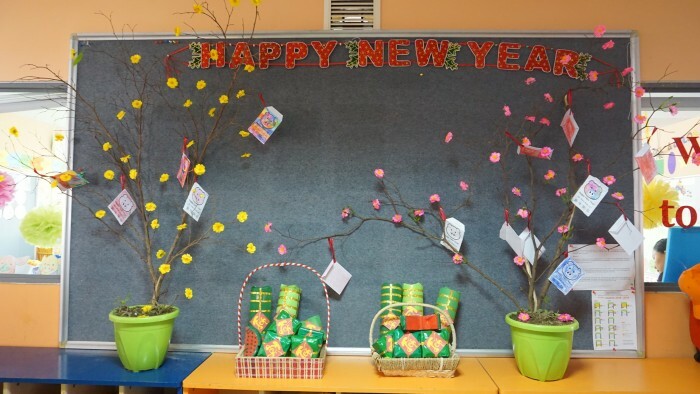 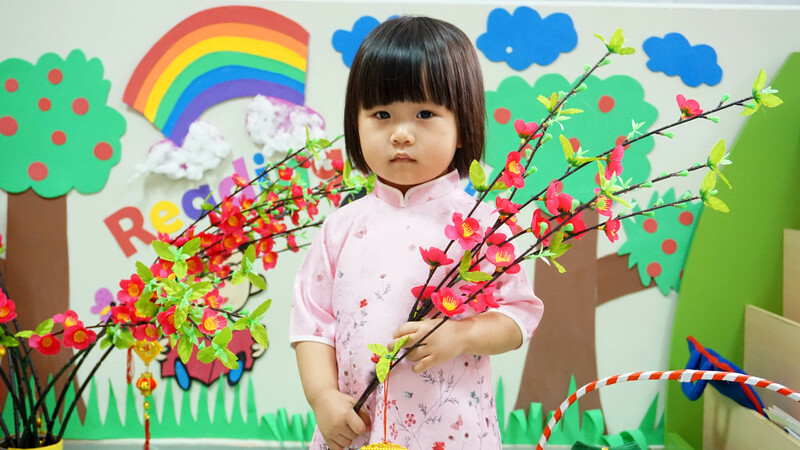 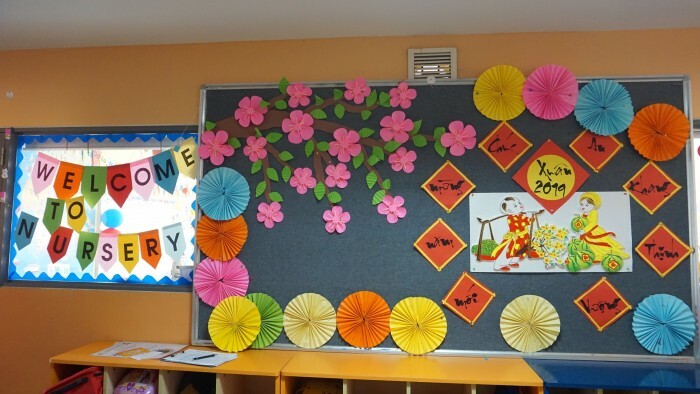 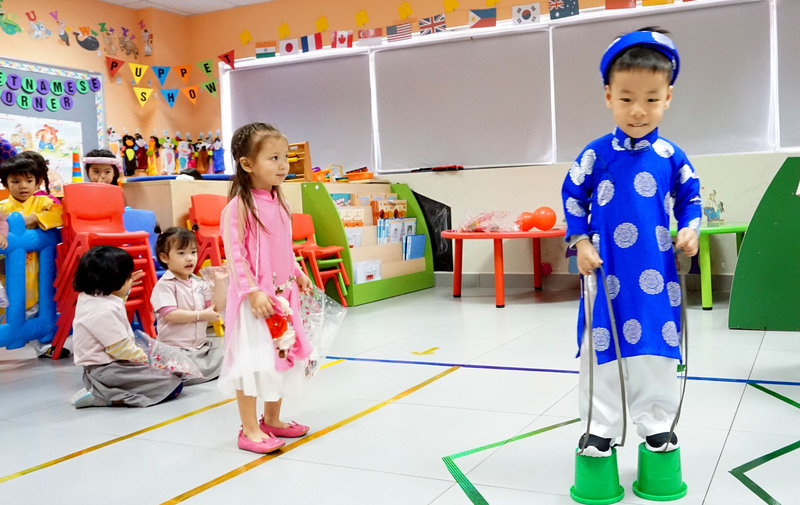 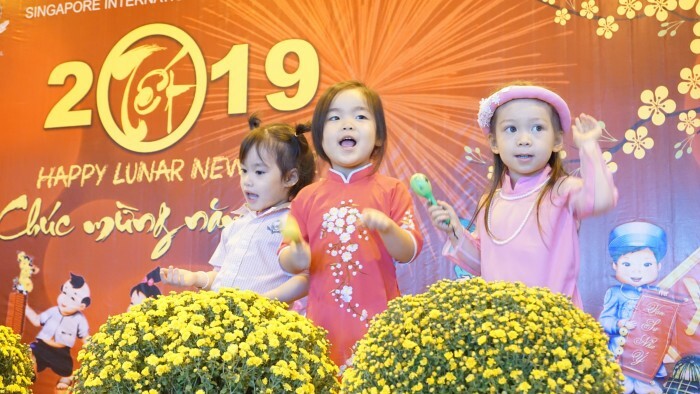 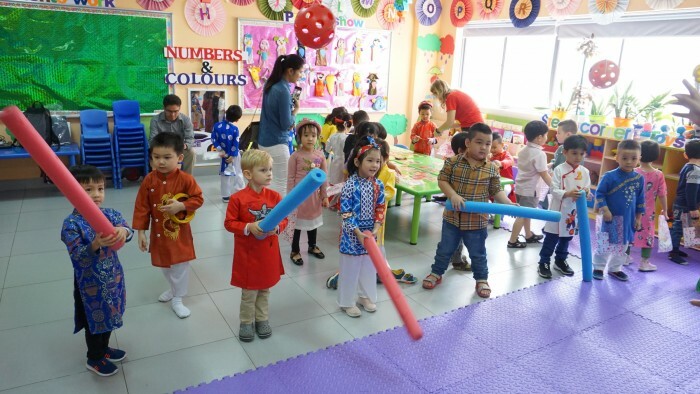 As active and global competent citizens, while learning to understand and respect our own and other cultures, the Kindergarten children had an enjoyable time discovering the Vietnamese Lunar New Year. 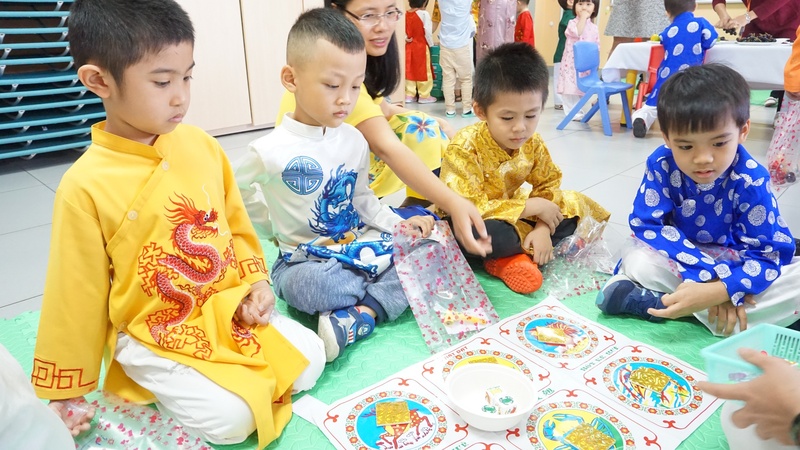 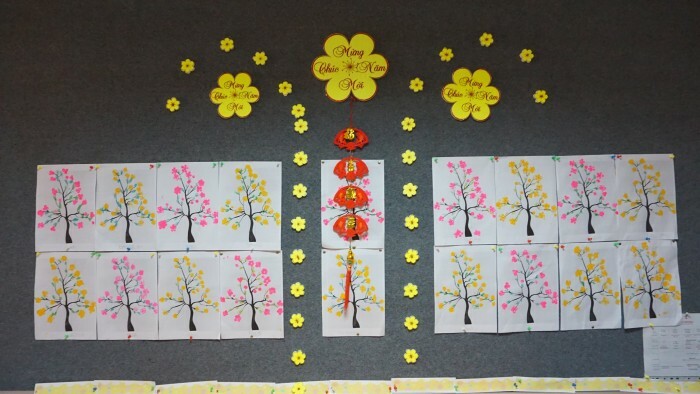 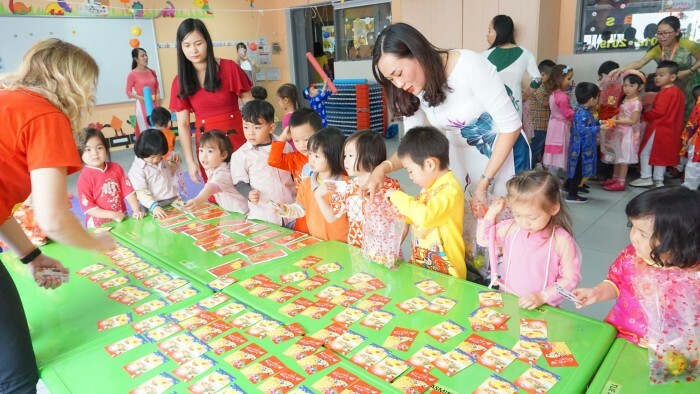 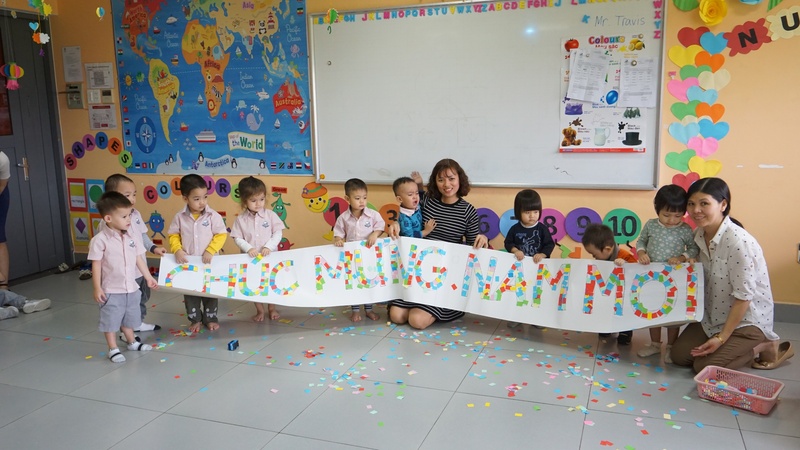 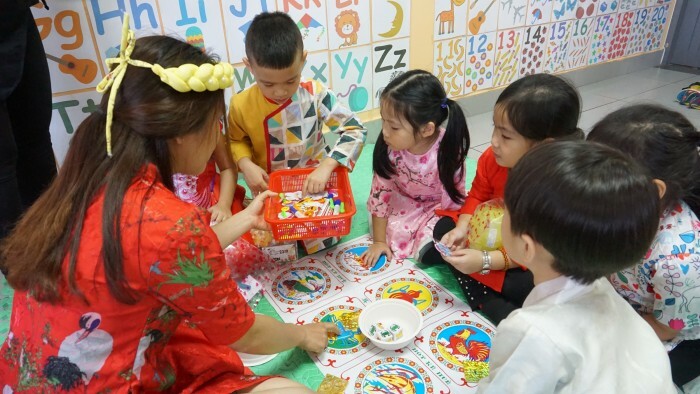 Different related activities to reinforce the theme were discussed and conducted in class lessons such as making ‘Chuc Mung Nam Moi’ cards, painting Tet pictures, making lucky envelopes, decorations and singing Tet songs. 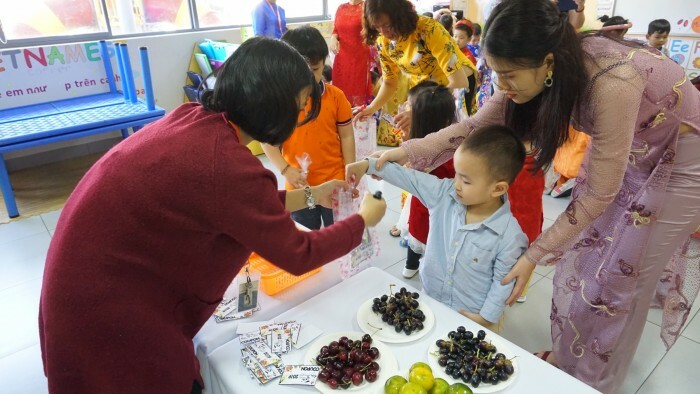 It was our first time organizing the indoor Tet Fair. 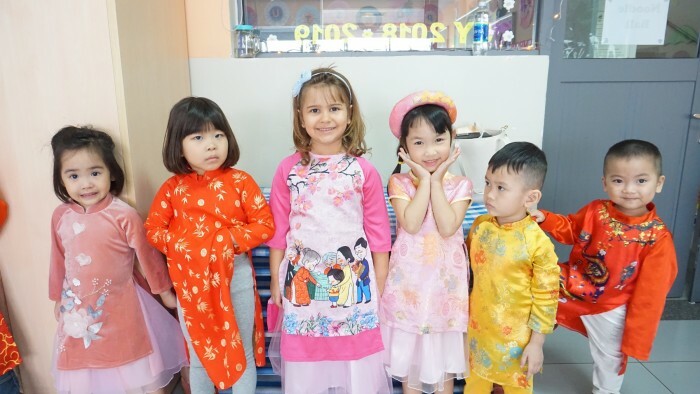 Everyone looked amazing in their Tet outfits and traditional Ao Dai. The concert was a huge success with outstanding performances from all classes. Although the fair was new, it was all enjoyed by students and teachers. Lots of trading and marketing happened in class market. 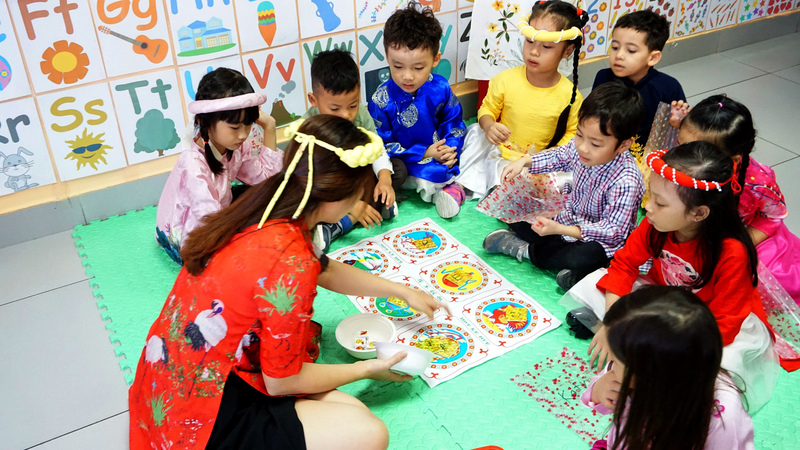 The traditional games were also great. Everyone happily went home with their Tet stuff bought from the market!